For our adrenaline junkies Bay Island Voyages are Cardiff’s Ultimate Thrill ride! We offer an unforgettable RIB experience with our 15minute ‘Bay Blast’. Bay Blasts are the original and signature trip we have to offer. We take a short trip to reach the edge of the speed limit before the full power of these vessels is unleashed. 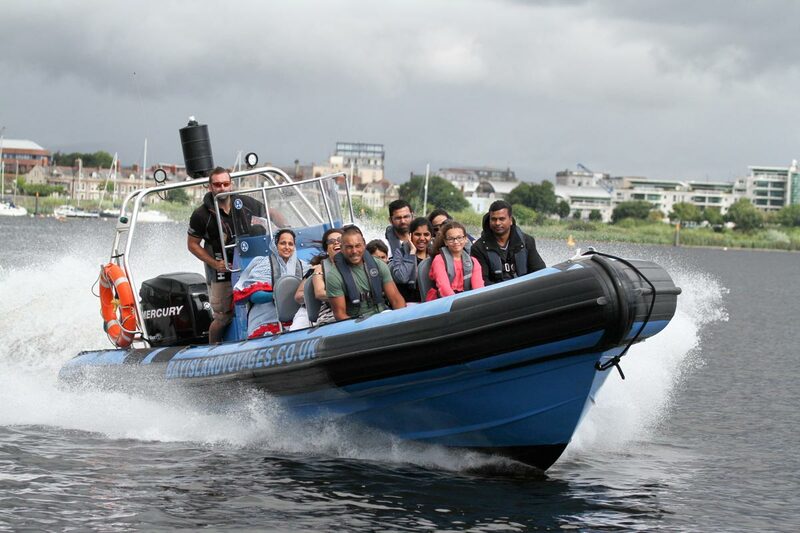 Experience a full tour of the Bay perimeter at high speed, where you will encounter high-speed turns and the vessel will bank and swerve showing the true capability of what RIB boats can do. We can’t guarantee you won’t get wet but we can guarantee a smile on your face! This is 15 minutes of high-speed excitement and adrenaline fuelled fun for all. It’s the perfect taster for those new to boating. Once you have experienced our Bay Blast, you will be left wanting more!